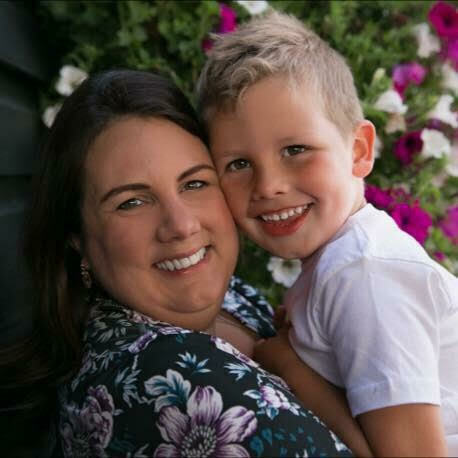 Pre-Christmas family mania is in full swing this week as we take a sleigh ride towards the big day but I’ve happily put some plans in place to indulge in some self-care during what I call The Dead Zone – the days between Christmas & New Year. As someone who suffers from Anxiety & Depression both the comedown from Christmas and the prospect of New Year can be daunting, and it’s so important to prioritise your mental well-being during this time. Even more important when you’re also a working mum. I feel like all my self-care posts include the cliche of a long bath but that’s just because it never fails. Since my new bathroom is now complete I feel even more inclined to spend time in there. I visited The Body Shop for the first time in many years for some new products and was really impressed with their range and modern scents. 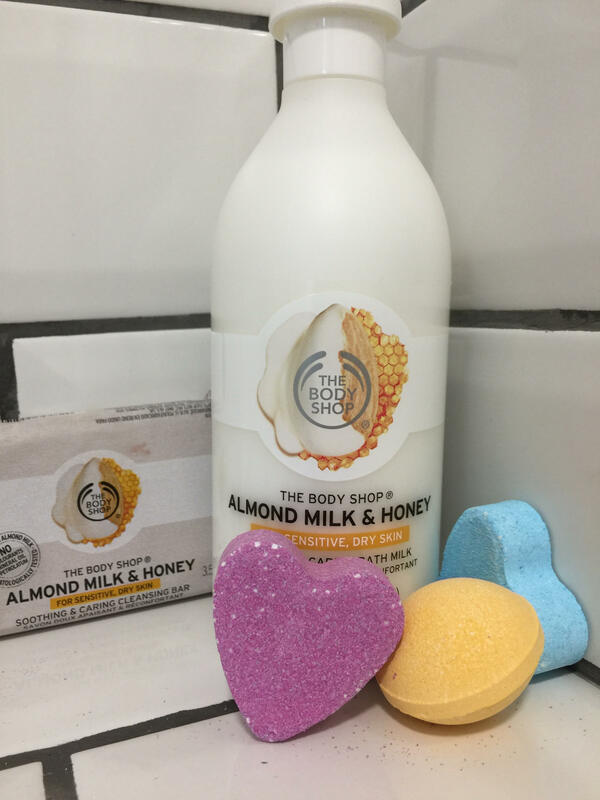 I bought this lovely Almond Milk & Honey Calming Bath Milk and some adorable mini bath bombs, which smell delicious. Stick on some new music and pour a glass of Prosecco to make your bath even more special. There is something so lovely about new sleepwear and these lovely star print pajamas from Primark are just the ticket. Taking care of our appearance helps to give our mood a boost too so I grabbed these Babyliss Heated Rollers from Argos and Aussie Miracle Oil from Boots. Anyone who follows me on Instagram knows about my candle obsession, especially Yankee Candles. 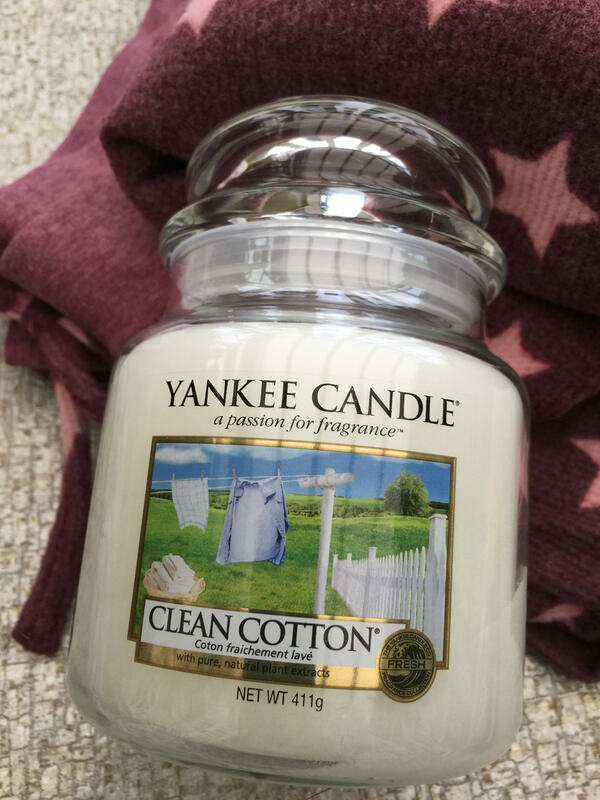 I’ve already bought too many Christmassy scents lately so for my self-care day I’ve opted for one of my old favourites – Clean Cotton. A fresh, bright scent to accompany the New Year. 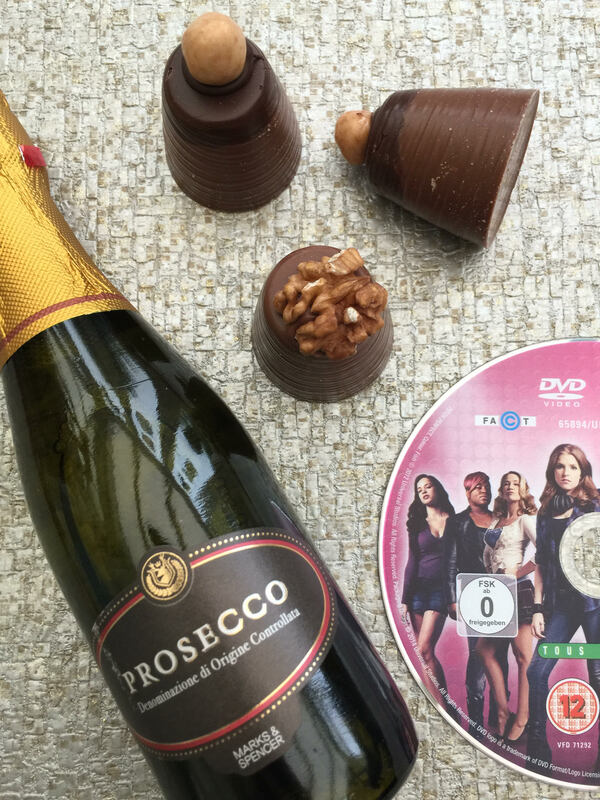 Lastly, I’m adding a lighthearted movie, popcorn, choccies and more Prosecco and that’s pretty much my ideal night of relaxation. If my husband is there too then all the better! Are you running out of time for last minute present ideas? One4All vouchers can be purchased at the Post Office and are awesome gifts because you can spend them in so many of your favourite stores.